Have very sad news. 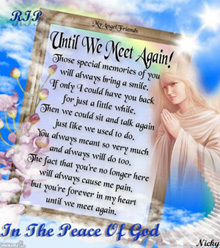 Our classmate, Marie-Denise Valiquette, passed away on July 30, 2014 and I miss her dearly. She?d been battling breast cancer for the past five years. She was only 57 years old. She leaves behind her loving family and friends and all the people whose lives she touched with her warmth and kindness. She was a tender, compassionate, beautiful soul with a warm, generous heart who?ll be very sadly missed. Back in 1995, our classmate Michelina Polletta was involved in a car accident, which tragically claimed her life. Her daughter Jennifer De Pippo survived the accident, but sustained brain injuries as a result. "An unexpected miracle: Conquering brain injury"
Jennifer chronicles these last 18 years of arduous rehabilitation. and proves that obstacles & challenges can be overcome. Her book can be obtained through Amazon and Chapters. The book can also be purchased from our classmate Anna Maria Polletta. which helps grant wishes to children with life-threatening illnesses. Sunday, Oct. 12, 2014 or Saturday, Nov. 8, 2014. Please let us know by taking this poll. Tu verras qu'il s'agit de théâtre dans les prisons en Italie. Les gens que j'ai rencontrés à Rome -- les acteurs professionnels qui encadrent le théâtre amateur en prison -- m'ont fait une très forte impression. Je me suis senti très chanceux d'avoir pu, grâce à votre influence à vous tous, apprendre l'italien quand j'étais adolescent. Sans parler l'italien, je n'aurais jamais pu faire ce reportage. Many of you have already heard by now, and it is with deep sadness that we announce the death of our dear classmate Elio (Elia) Draicchio, who passed away suddenly on March 5, 2013 in Bahrain. It would seem that the probable cause of death was a ruptured aorta. I want to take this opportunity to wish you and your families a very Merry Christmas and a Happy New Year! This is the time of year we spend around loved ones and enjoy some holiday cheer. But it?s also a time to reflect on our commitment to help others in need and think of ways we can make this a better place to live in. There are many people out there that will be without shelter, food or even worse?.love and support. Let?s all make an effort to try and change this for those who really need it!! Be merry and especially?.be safe!! Look forward to seeing you sometime soon. We are wrapping up a year filled with wonderful times having reminiscent & rekindled old & created new friendships with our JFK classmates. We are thankful for the many opportunities & good times we shared, helping us create new memories for years to come. May you and your loved ones be filled with the Spirit of peace, hope and love during this Christmas Season & may God also bless your families with true joy that will linger in your hearts throughout the New Year. Wishing you much health and great tidings for the New Year. We also pray that the entire world will witness a new dawn filled with peace & healing in 2011. Several classmates will be happy to know, that the Class of '74 yearbook is now available our website. Many thanks to Maria Salvo, and in particular Maria's young nephew, Dominic Salvo, who scanned the book, and Carol Zimmermann, who edited the file. Classmates had a great day at the Golf Tournament. Thanks Ralph for your time & energy in organizing this successful event. See photos..
Gaetano & Silvana Marinelli's sons, Marco & Danny have recently opened a new restaurant, the "Houston Steak House", located at 1001 Square Victoria in Old Montreal. They would like to invite everyone to come and check it out. Please check the sidebar for more information. Photos of the weekend getaway to Manhattan have just been posted. Looks like our classmates and friends had a wonderful time. See the photos.. Kudos to the JFK class of 1974. Thanks to your kind generosity, we have raised for the Tony Colannino Foundation $3,141.00 at our 35-year reunion, and an additional $650.00 through the DVD sales. Read the letter of thanks from the Tony Colannino Foundation. Kind regards from the organizing committee. Let's keep in touch. March 21st, 2010 was a great success! Recent photos are now up... and you can also see photos from past events. Mike Arseneault provided us with the article he wrote in L'actualité back in 2002. It's a very good article about JFK and his reflections 30 years later. "Mon école, 30 ans plus tard" par Michel Arseneault. 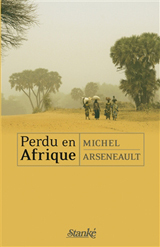 He has a book out - Perdu en Afrique, published by Stanké in March 2009. Please check the sidebar for more information. We also want to bring to your attention the new heading entitled "Upcoming events" on our webpage. This is where all future events will be posted. Emails will not necessarily be sent out to advise classmates of upcoming events, so we encourage you to check out the site on a regular basis. We also welcome suggestions for other events and, as well, ideas for the website. Remember this is our class website. It belongs to the members. Therefore, please sign up if you haven't already done so.